The Sydney Law School Foundation established a limited number of scholarships to support outstanding international students undertaking a Master by Coursework program with the Sydney Law School. Have accepted an unconditional offer of admission to a Master by Coursework program. Be a citizen of a country other than Australia or New Zealand, and may not hold permanent residency in Australia. Not be in receipt of any other tuition scholarship. The Sydney Law School Foundation International Scholarship is worth AU$10,000 payable in two equal instalments in late March and late August in the first year of study. Applicants will be assessed on their entry scores to the degree and other measures of merit, including the personal statement. Scholarships are awarded on the basis that the student will commence study in the academic year for which it is offered, and for the program in which a place has been offered in the Sydney Law School. The scholarship is limited to one year. For further information about applications for admission to a postgraduate coursework degree, please see the International Office website. 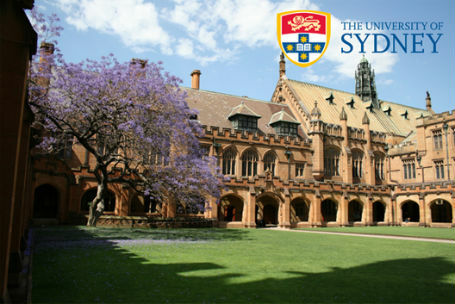 Demikian kami sampaikan tentang International Master Scholarship in Law, University of Sydney, Australia semoga informasi tentang International Master Scholarship in Law, University of Sydney, Australia ini bermanfaat.